This beautiful baby bunting is the perfect way to welcome a bundle of joy to her newhome. 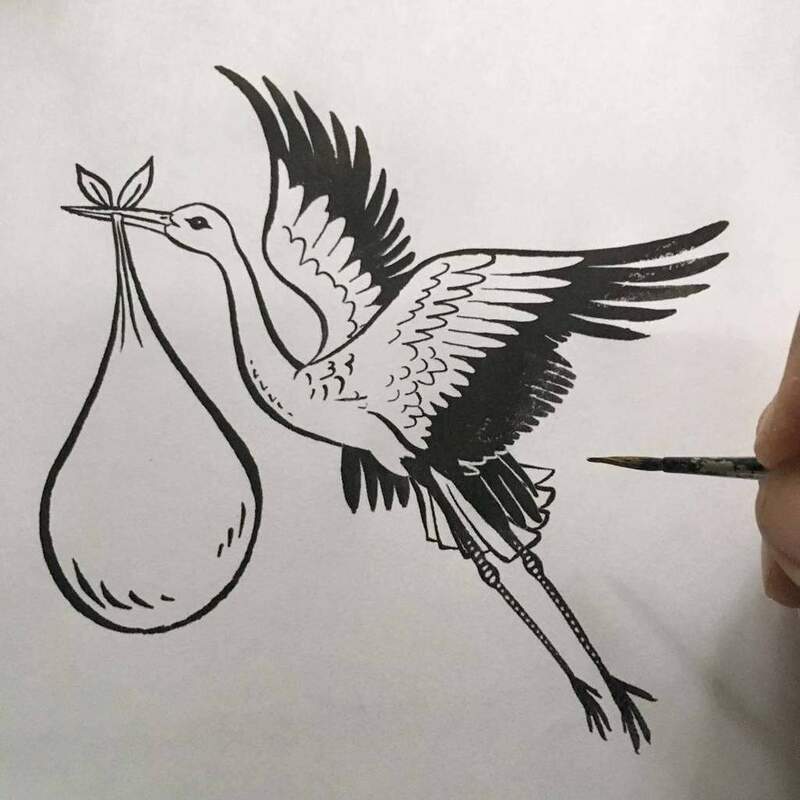 Perfect for baby showers. 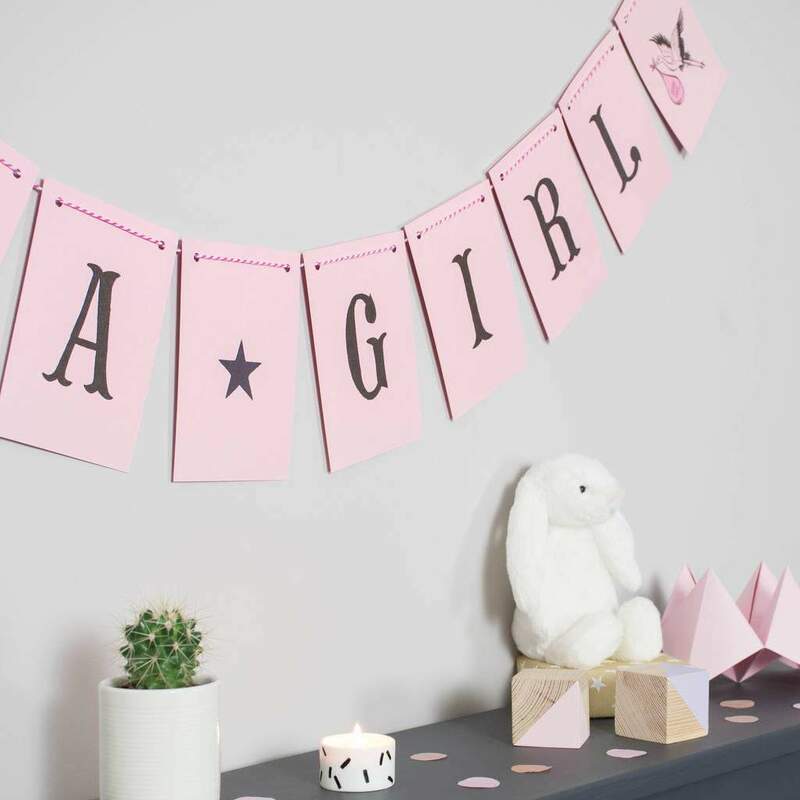 With individually designed letters printed onto high quality, pale pink card, our“It’s a girl” bunting is a classic choice to celebrate a new arrival. Ideal to use in your baby shower decorations, it features a stork flag at either side of the text and two star flags as spaces between the words. 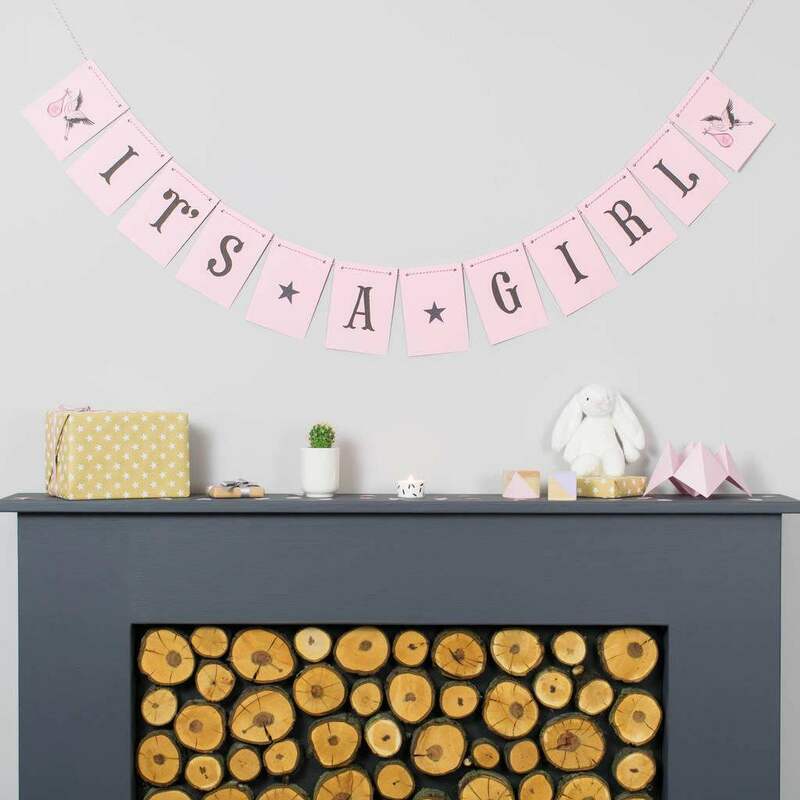 If you’d like something a little different, you can personalise your message to create a special memento of the occasion. 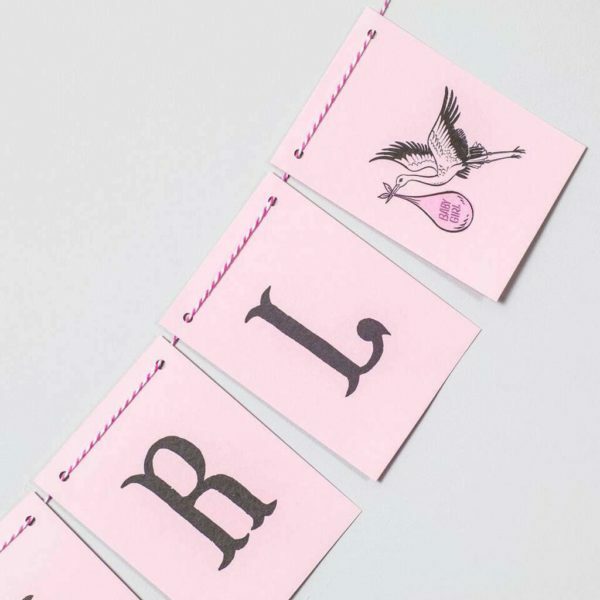 Just send us a message telling us what you’d like your bunting to say, up to 13 letters (not including the spaces). As this product is made of card, it’s perfect for decorating indoors or outdoors if it’snot raining. It is not waterproof, and shouldn’t be used outside if it’s raining.